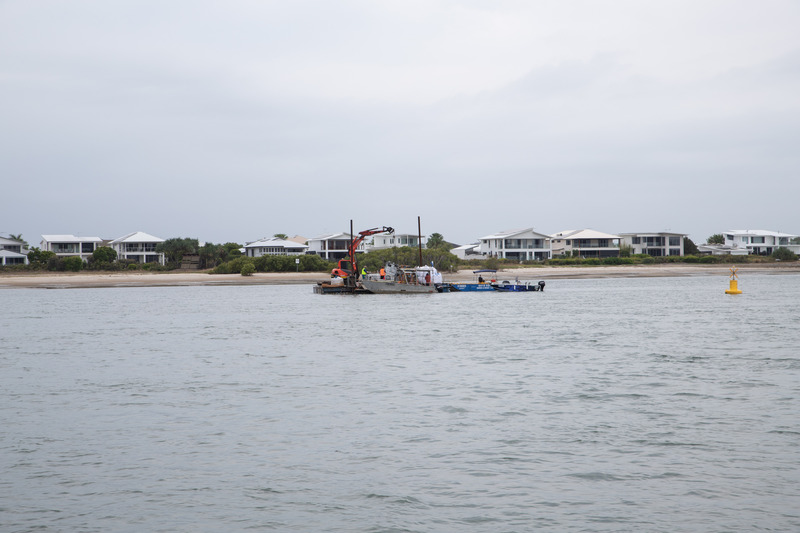 A project to restore the once magnificent shellfish beds of the Pumicestone Passage has been enhanced with more artificial reef structures of recycled shell being installed off Kakadu Beach. Shellfish have been synonymous with Indigenous culture and Moreton Bay for thousands of years, but shellfish communities are now functionally extinct in the Pumicestone Passage due to over-harvesting, disease and poor water quality. 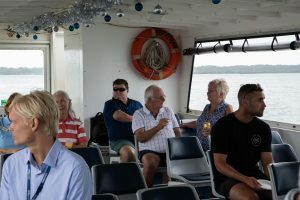 On Tuesday 4 December, project leaders, community groups and media embarked on a boat trip to witness the second infill stage of The Pumicestone Shellfish Habitat Restoration Project that aims to improve marine biodiversity and fish stocks, and ultimately water quality in the Moreton Bay region. After 18 months of planning, Healthy Land and Water secured approval from the state government to help restore the crucial habitats by installing artificial reef structures on the sea floor in December 2017. Three different types of artificial shellfish reefs were initially installed in a one-hectare location off Kakadu Beach, including a biodegradable potato starch matrix known as BESE-Elements that was developed in the Netherlands and used for the first time in Australia. As part of the second stage of installations, more patch reefs of shell recycled by OzFish Unlimited volunteers at the Ningi Transfer Station have been added to the array, combined with live shell to increase the process of reef adhesion and productivity. The project is being monitored by the University of the Sunshine Coast marine science team for three years and the initial results are very promising, showing a doubling of fish abundance and diversity. Invertebrate monitoring by OzFish Unlimited is equally promising as it has demonstrated oysters and other invertebrates can recruit subtidally, with an average of 56 spat/100 shell sampled. Healthy Land and Water CEO Julie McLellan congratulated project leaders and partners for their hard work in designing the second stage of the project. Healthy Land and Water project leader Susie Chapman. “As residents of South East Queensland, it is our responsibility to restore and protect our natural environment as much as we can despite how long it may take”. “This community-led collaboration involving Traditional Owners, local fishers, industry, research, Moreton Bay Council and Unitywater is already showing positive outcomes for the internationally-recognised Moreton Bay Ramsar wetland,” she said. “This year the local fishers have become more aware and involved in the protection and restoration of fish habitat,” Craig said. Project leaders are asking fishers to be custodians of the project and to support the restoration effort by not anchoring in the area as anchors could damage the installations and hamper the project. A special illuminated yellow marker buoy was installed to indicate to water users where the reef structures are located beneath the water. The project is a community-led collaboration more than 20 years in the making and involves Traditional Owners, all levels of government, community groups, industry and water utilities. A full list of project partners includes Joondooburri Trust, Kabi Kabi First Nation, Pumicestone Passage Fish Restocking Association, Healthy Land and Water, Sunfish, Digsfish Services Pty Ltd, OzFish, BCF, Carlo Sain, University of the Sunshine Coast, Moreton Bay Regional Council, Unitywater, the Australian Government and the National Landcare Program, the Queensland Government through the Community Benefit Fund. 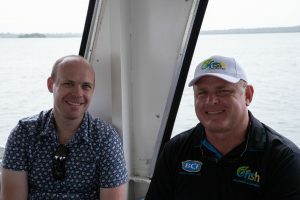 University of the Sunshine Coast scientist Dr Ben Gilby and Ozfish Unlimited Central Moreton President Robbie Porter. South East Queensland, let's catch up!